Day 5 of our Tweet-a-thon saw mentor texts for writing about fashion, sports profiles, history, poetry, memoir. We even had some mentors being literally pulled straight off the shelf at Barnes & Noble and Tweeted from the racks! Here’s a wrap-up of day 5! 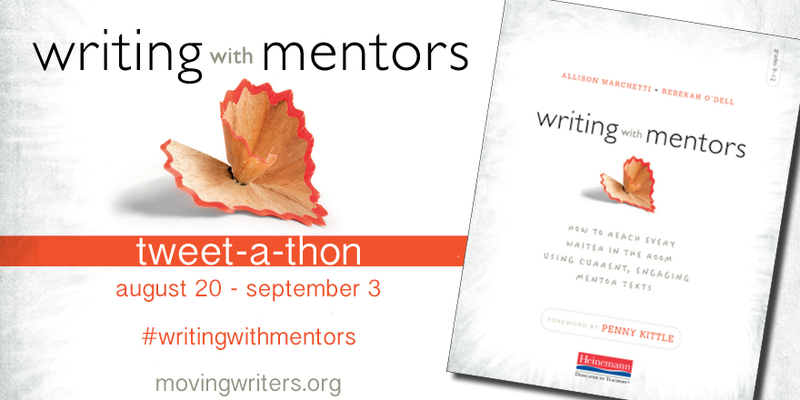 The Tweet-a-thon continues through September 3, the day that Writing with Mentors is released! Join in — every Tweet enters you to win a copy of the book!